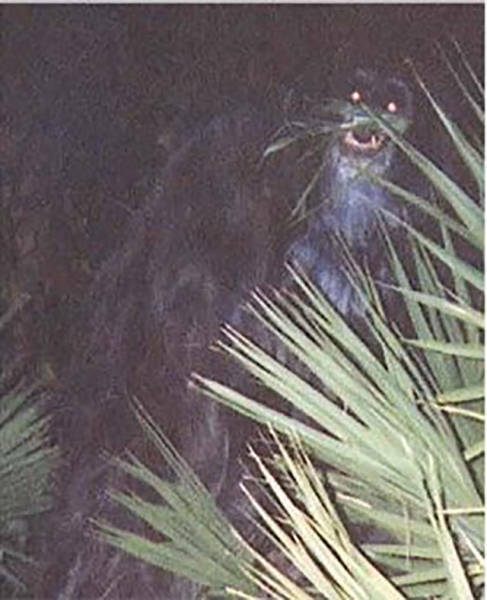 In 2000 an anonymous source mailed several photos of a “skunk ape” to the Sarasota police department in Florida. Some people have claimed that it is in fact a black bear, but so far there isn’t a consensus. 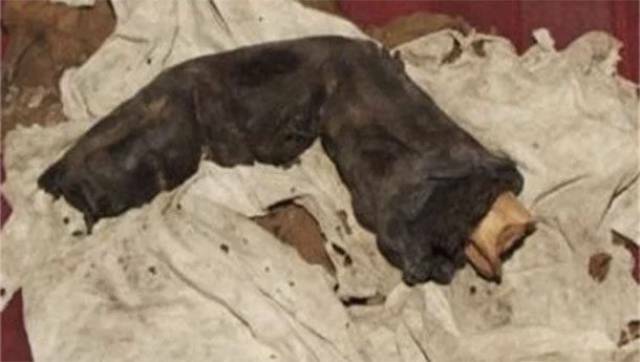 In 1985, a man named Gregor Sporri met a grave robber during a trip to Egypt and he photographed a 15 inch long mummified finger that the robber showed him. Since then the photo has obviously generated controversy. When Jim Templeton took a photo of his daughter during a family trip, he could have sworn he was only focusing on his daughter. 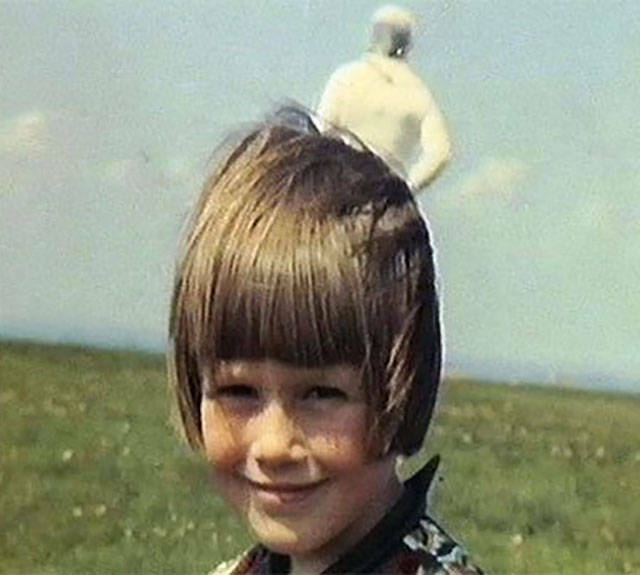 When the photo was developed though, it looked like a space man was standing behind her. Even Kodak got in on the action and explained that the film hadn’t been altered. Many theories have tried to explain this photo including one where Jim’s wife might have stepped in the shot. 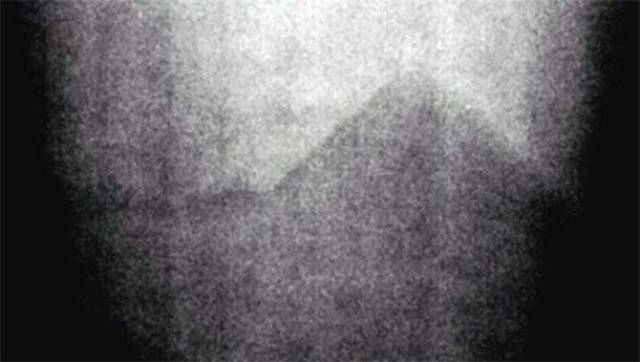 One of the most well known mysterious paintings, this picture was painted during the 16th century by an anonymous artist. 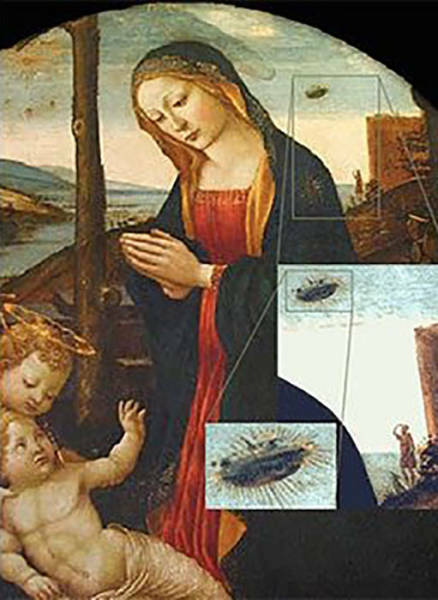 It depicts a UFO over Mary’s shoulder and a man staring up at it. Not long after Pearl Harbor, a weather balloon triggered a false alarm and anti-aircraft guns all over LA county opened fire. The image shows the mayhem, and some people refused to believe that there wasn’t an attack. 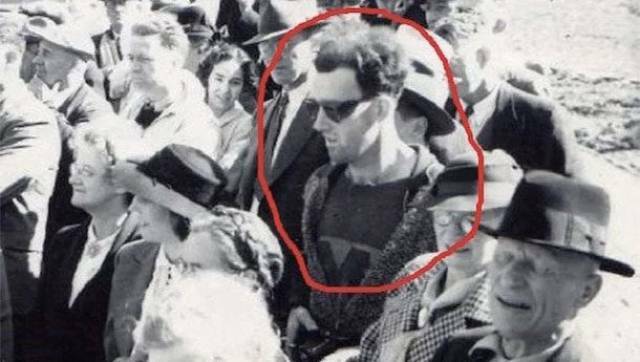 Conspiracy theorists claim the invaders were UFOs. 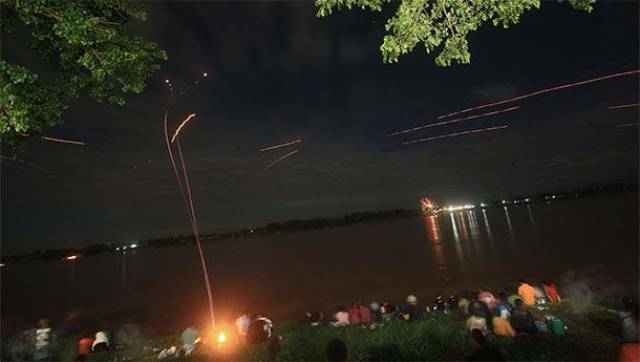 These fiery balls can be seen rising out of the Mekong River between Thailand and Laos. So far there are several explanations (plasma, fireworks, etc), but nothing conclusive. This photo was taken during the opening of the South Forks Bridge in Canada in 1941. It seems normal except for one guy who appears to be wearing clothes from a later time period. He’s also holding a more modern camera and sporting a logo that doesn’t seem appropriate for the time period. 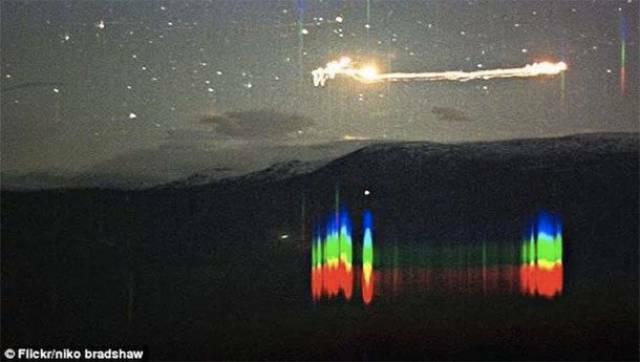 The multicolored lights that sometimes hover above Hessdalen valley in Norway are now thought to be caused by some sort of natural underground battery. 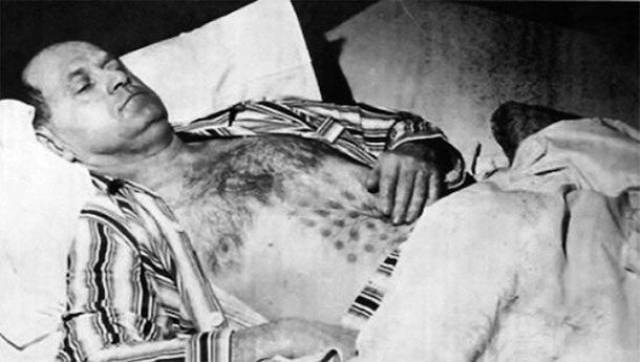 On May 20, 1967, while Stefan Michalak was in the Canadian woods near Falcon Lake, he claims to have seen two UFOs land in a clearing. After approaching and trying to contact the pilots of the crafts, the ships suddenly took off, blasting him through a grate like structure. Taken by Apollo 17, this image of the moon didn’t show anything until somebody decided to turn up the contrast. Is it a pyramid? Or something else? Whatever it is, it has generated a lot of controversy. 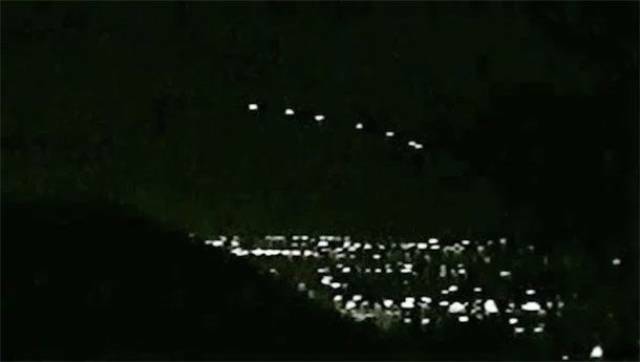 In 1997 a series of bright lights appeared over Phoenix. 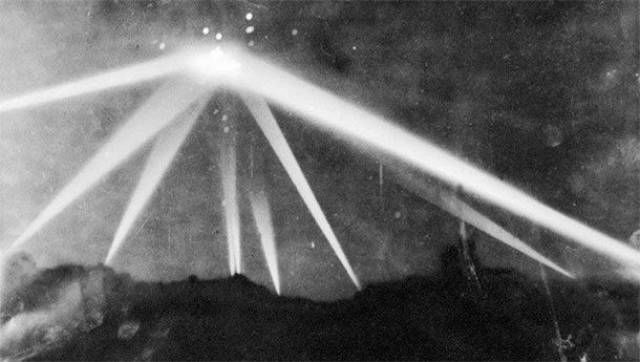 While the Air Force claimed that the lights were actually flares, they reappeared in 2007 and 2008. 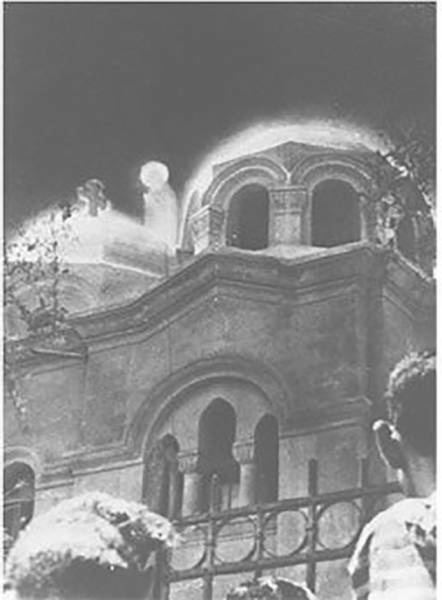 This mass apparition of the Virgin Mary happened in the Zeitoun district of Cairo over the course of several years in the late 60s. In 1951, the police department of St. Petersburg, Florida snapped this photo of Mary Reeser. 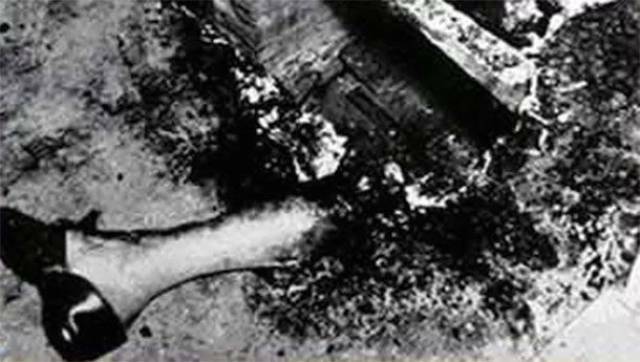 Her entire body was consumed by flames while she sat in her armchair. The only thing remaining was her left foot and nothing else in the room was affected. To this day, forensic investigators don’t know what actually happened. 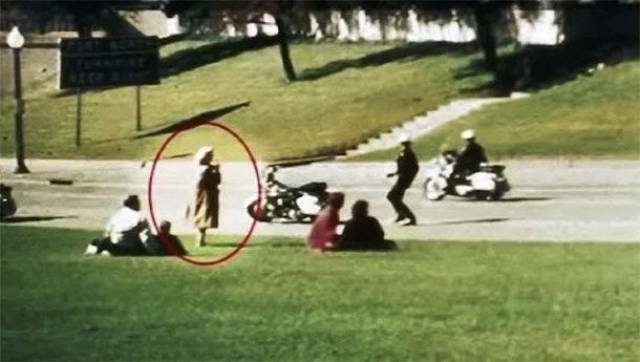 Bystanders claimed that this mysterious lady was said to have caught JFK’s assassination on camera, especially considering that she had a perfect vantage point and was filming the whole thing. The problem, however, is that she was never found or heard from again. 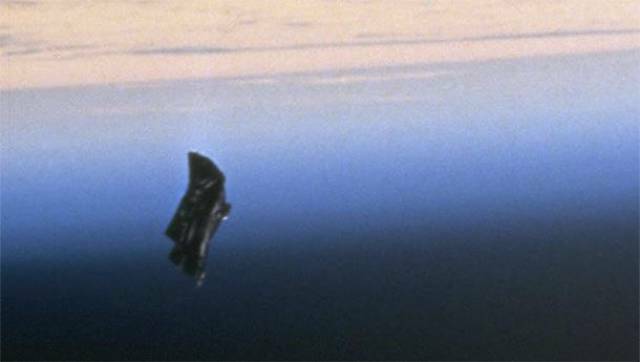 Conspiracy theorists allege that this NASA photo shows the Black Knight satellite, an extra terrestrial satellite that has been orbiting Earth for thousands of years. 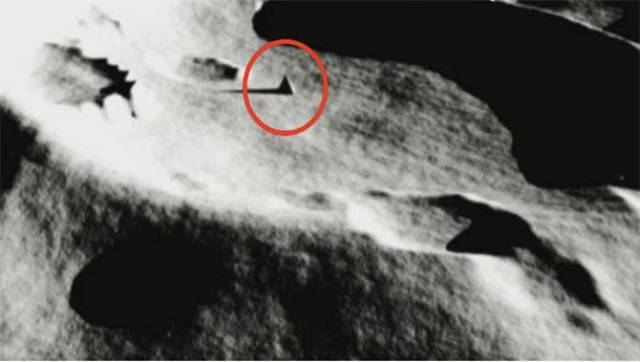 NASA says that it is most likely just space junk. 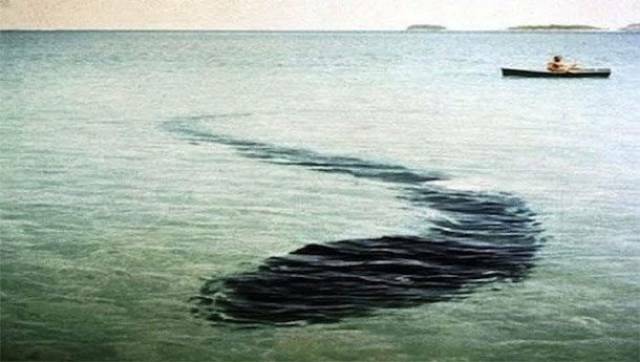 Taken by French photographer Robert Serrec off the coast of Australia, this supposed sea monster has caused quite a stir. When Reverend K.F. 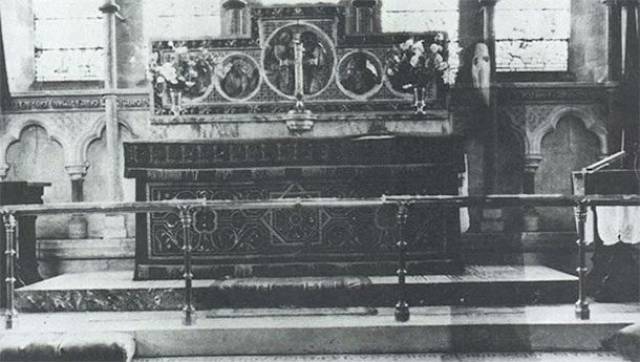 Lord took this famous photograph in North Yorkshire’s Newby Church he swore that there wasn’t anybody else in the church. 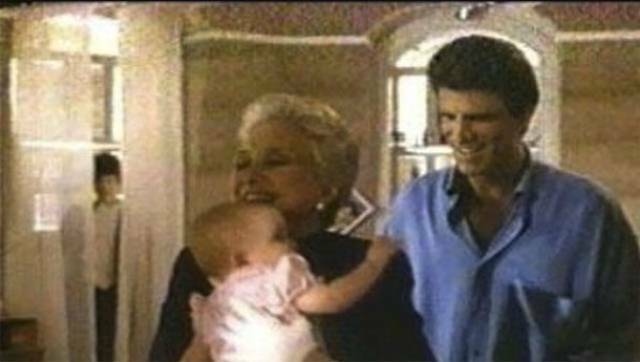 This 1987 comedy never featured any kids peeking through curtains, but this screenshot would make you think otherwise! 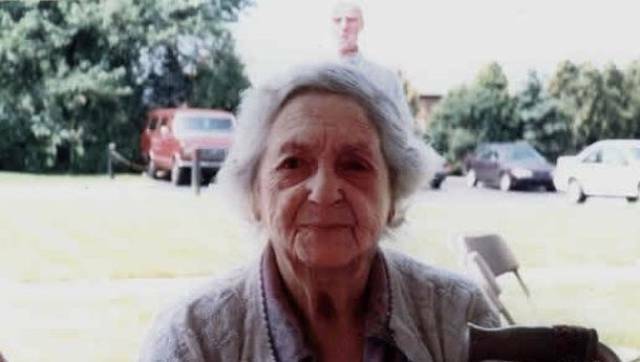 When a family member snapped this lady’s photo there wasn’t anybody in the background, much less the lady’s late husband! 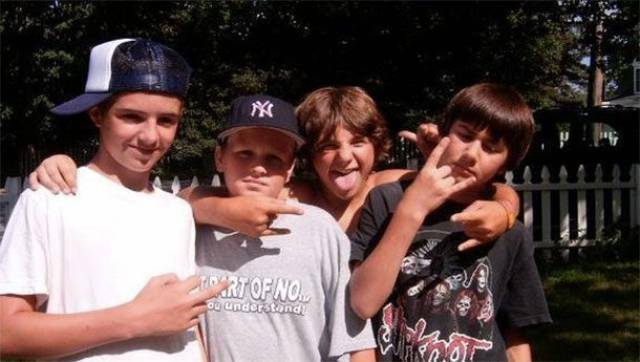 The phantom thumb appears next to the kid on the right. It freaked people out because it didn’t seem to belong to anybody. 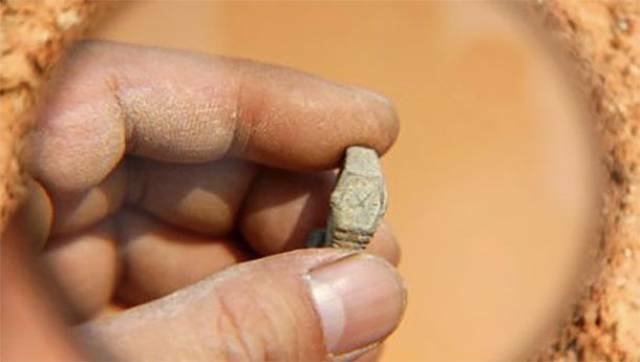 In 2008 a team of Chinese archeologists allegedly opened an ancient tomb and found this golden wrist watch. Of course, the question remains…is it real? Remember the pyramid? Well, here’s another shot from the Apollo 17 mission. 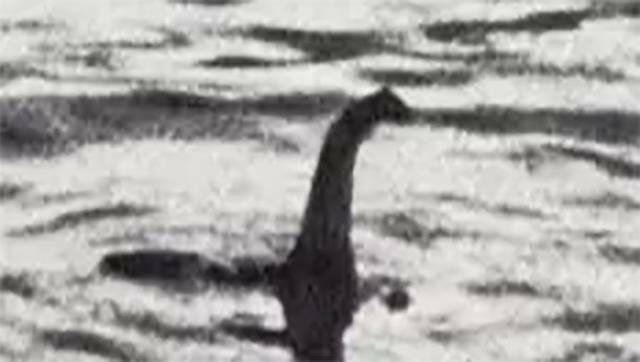 Possibly the most well known mysterious photo is of Nessie, the famed monster of Loch Ness. 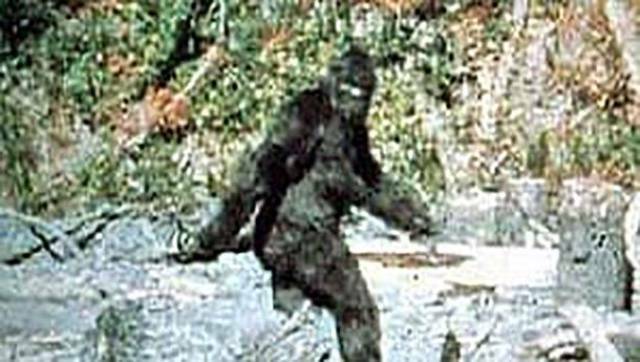 Also known as Sasquatch, this forest dwelling ape man of the Pacific Northwest inhabits numerous legends…and photographs! 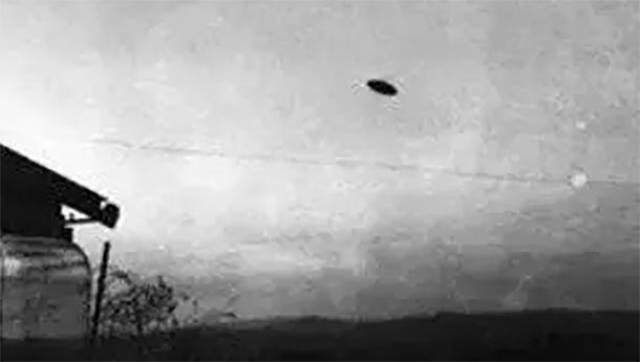 Taken in 1950 in McMinnville, Oregon, this photo was the first UFO image to make waves in newspapers across the nation. Since then, such photos have become much more common.